Local organizations are working together to discuss how to make St. John's a more densely populated city, but in a way that is beneficial for residents and businesses. Happy City St. John's has partnered with the St. John's Board of Trade and the Canadian Home Builders Association for a series of public sessions called Doing Density Right. The sessions will take place in early December, and will be divided into three meetings in the centre city, east end and west end areas of the capital. With about 100,000 people spread out over an area larger than 400 square kilometers, St. John's is far from densely populated. But the talks at Doing Density Right will explore whether services and transit could be better provided if people were living closer together. 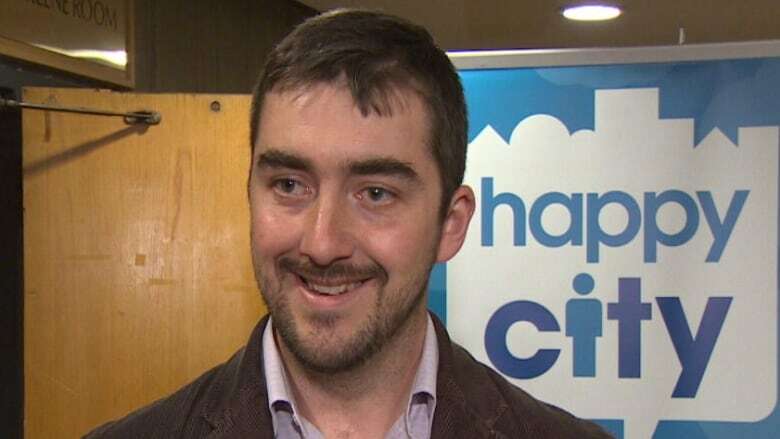 Josh Smee, the Chair of Happy City St. John's, says the latest draft of the new municipal plan for the city shows that St. John's is becoming denser in recent years, and that the process needs to be managed properly. "It's just getting going now," he said. "You're going to see more development in places like Pleasantville, which are going to have thousands of people living in them where there were hardly any before." Smee understands that when most people think of cities that are densely populated, less than desirable things come to mind. The towering apartment buildings of some major cities like Toronto, surrounded by seemingly endless asphalt parking lots, are not what Smee means when he talks about density. "One of the stumbling blocks to developments in this city is people have objections to the design, or they don't think it's well thought out" he said. Smee believes the city's history of taking a critical approach to development is exactly why St. John's has a lot of potential when it comes to embracing density. One of the benefits to an increased density is that it creates a tight-knit community, where people are more self-sufficient in the geographic area around where they live. "If you want a bakery or a store that you can walk to, then you need a certain amount of people around to support that," he said. Smee had no hesitation is admitting that many of the other benefits are related to cost saving, as services can be consolidated and run more efficiently. "There are lots of arguments why, and most of it has to do with cost," said Smee. However, Smee thinks that the key is achieving the right amount of density, which is what the sessions in December are all about. "What level of density makes a neighbourhood that you actually want to live in," he said. "Maybe now is a good time to take a look and see what that could look like." The Doing Density Right sessions will take place Dec 2 and will run through Dec 4, at various locations around the city. People wishing to find out more or contribute to the discussions can visit www.happycity.ca/density.